Whether it’s your first child, or you’ve already sent a few down the road, getting your teen ready for the driver’s seat can be a little overwhelming. If you’re getting ready to buy your teen’s first car, read through this checklist to make sure you are getting your son or daughter the safest and most affordable vehicle possible. Midsize sedans tend to be the safest for new drivers. The higher mass of a midsize sedan provides your teen with more protection in a crash, and their relatively low center of gravity makes them less likely to roll over. Purchasing a vehicle with a smaller engine will also be more economical. Use a website such as Edmunds.com, Kelley Blue Book, IntelliChoice.com or TrueCar.com to help you determine a fair price for a vehicle. Another source you can use is Consumer Reports, as they publish used car guides with rankings on reliability and price. A few scratches and door dings will also help you negotiate for a lower purchase price; chances are your teen might add a few more to the car, too. Another option is to look for certified, pre-owned models that are two or three years old. These cars are often from an expired lease and cost more than other used cars, but have been examined for wear and tear. With a certified pre-owned vehicle, you may be able to get a limited warranty and better financing rates. For a small fee, you can pay for a service like Carfax or AutoCheck to tell you if a vehicle has been in an accident. These reports aren’t always foolproof though, so it’s a good idea to have an expert you know and trust give you an opinion about the car’s condition before you buys. Also have them check for items such as: radial tires for safer road handling, power steering for quick reaction control, and high quality brakes for better handling of spin-outs in the rain or snow. Make sure your car insurance, credit card company, or auto dealer includes road-side coverage. The last thing you’ll want is for your teen to be stranded or for you to receive a hefty tow bill. Regularly review with your teen their knowledge of how to handle their car in a variety of driving situations, like dealing with sudden stops or being on the road with another car that is spinning out of control. Finally, be sure the communication you have with your teen about driving is strong and open enough that if they find themselves in an accident, ditch, or other situation where they can’t drive home, they feel comfortable calling you for advice or for a ride. Our Auto Loan rates are as low as 1.74% APR. Visit our Auto Loan webpage for more details on how to apply for an auto loan at our low rates. We’ve been seeing a lot of old, rustic materials finding their way into modern home and garden design. Using recycled, reclaimed or salvaged materials in your home or garden renovation makes a lot of sense, both financially and design wise. 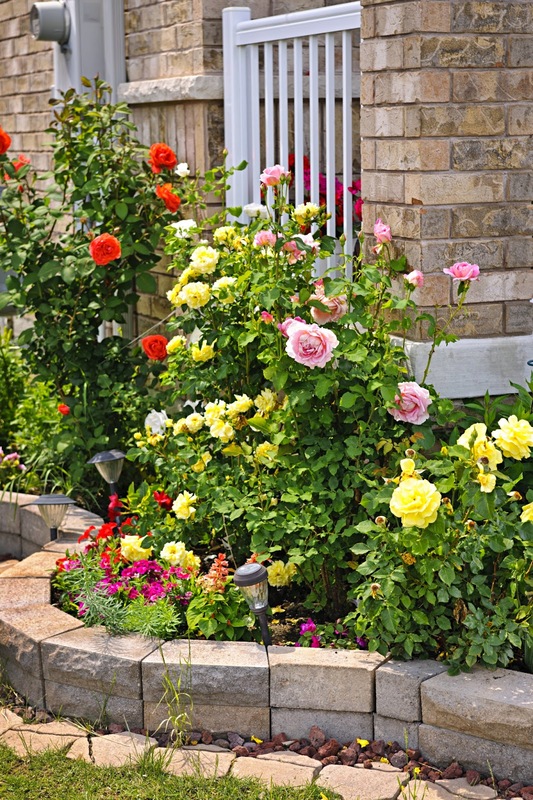 Gardens are a perfect place to start incorporating salvaged materials into your design. You can find anything from used bricks, cracked slabs of concrete or terra cotta tiles to antique metalwork to add to your yard’s design. These materials can be used in an assortment of different ways to create beautiful, distinctive landscapes while conserving resources and costs. Not to mention, your project will result in less harmful emissions to our environment. Many home designers have been using the following materials to cut down on a renovation’s cost and carbon footprint. Reclaimed wood can save a lot of money in a renovation. Reclaimed wood uses a fraction of the mechanical effort that fresh, new wood requires. The look of reclaimed wood is weathered, yet still very elegant. You can purchase reclaimed wood to be used for flooring, ceilings, countertops, cabinets, siding or as decorative accents. Bamboo is the ultimate alternative to old-fashioned lumber. More so than wood, bamboo is sustainable, strong and flexible. The plant is one of the fastest growing plants in the world which adds to its ability to help reduce deforestation. Bamboo is most popularly used for flooring. Recycled glass can be used for countertops, table tops or sinks and looks beautiful while being environmentally friendly. The glass makes a super sleek look as well. When used in a countertop it’s extremely functional and long lasting. Installation of a glass countertop is easy, and the finished product resists scratches, stains and heat. Want to find some reclaimed materials for your upcoming home or garden project? Visit http://reclaimingdetroit.org. This organization's mission is to divert as much material from Detroit’s 78,000 vacant structures from landfills as possible. If you need help financing a renovation, look into our Home Equity and Home Improvement Loans. Tires – Shifts in warm and cold air make your tires expand and contract. Refer to your owner’s manual and make sure your tires have the right amount of pressure. 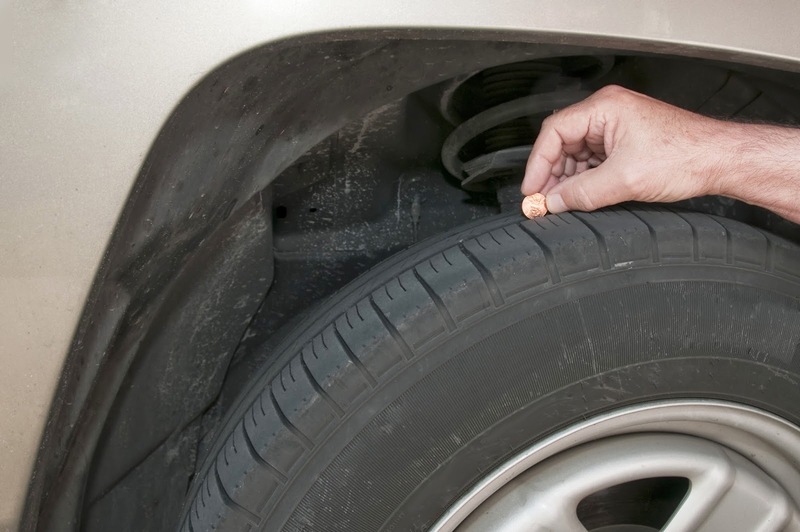 Your manual may tell you how often to have your tires balanced, rotated and checked for wear. You can visually check your tread by using a penny. Insert Abe's head upside-down into the tread of a tire. If his entire head remains visible, you don't have enough tread. Battery – Visit your favorite auto parts store and have them check the state of your battery for free. The test will determine how much charge is in your battery, and if you might need to replace it in the near future. Wipers and lighting – April showers bring May flowers! The season ahead comes with lots of rain, so make sure your wipers are ready to take on the challenge. You should check your wipers for damage the ice from the winter may have caused. Clean the external housing for your lights on your car as well. Dirt and salt may dim your lights. You can also check to see if your lights are aimed properly, so you don’t blind others on the road. Windshield cracks – Have you ignored a small crack in your windshield? Take a hard look at your windshield for signs of cracking or damage. The sooner you have it addressed professionally, the better. Fluids – Make sure your oil is changed, your coolant and anti-freeze are at the correct levels and your wiper fluid is topped off. Your car owner’s manual may provide useful information about how to check these on your own. Air conditioner – Turn your car’s A/C on to make sure it’s working correctly. Doing so now will give you ample time to fix any problems before the hot weather begins. These small steps can help keep your car running smoothly and keep its trade in value higher. When you’re ready for a new ride, give us a call. Community Financial is currently offering its lowest rates ever on auto loans. Stop by and talk to one of our loan specialists today, or visit our vehicle loan page, here.